I came across this scene when I was in downtown Boston last fall on my way to Vermont. When it’s sunny, hola hoop! While waiting for my train, I wanted outside to see a little bit of downtown Boston. 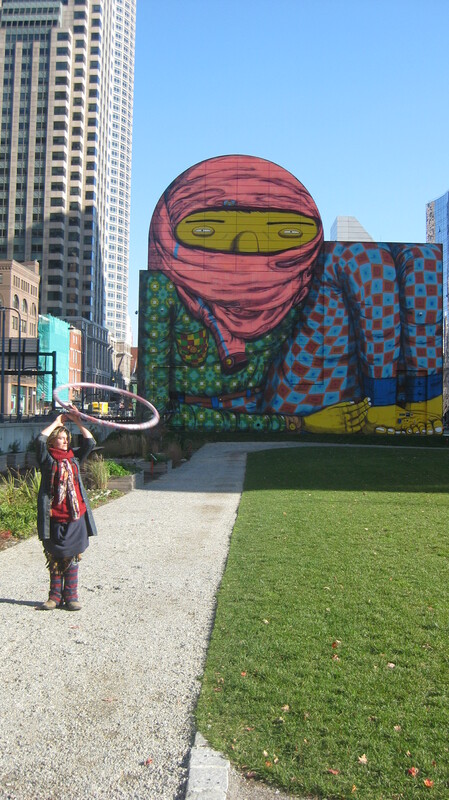 Located near the downtown train depot, this hola hooper was taking advantage of the larger then life audience of the mural behind her. I asked if I could snap her photo, and she happily did her thing. Two things I love about this photo. Happy Wednesday folks. Make it a good one.